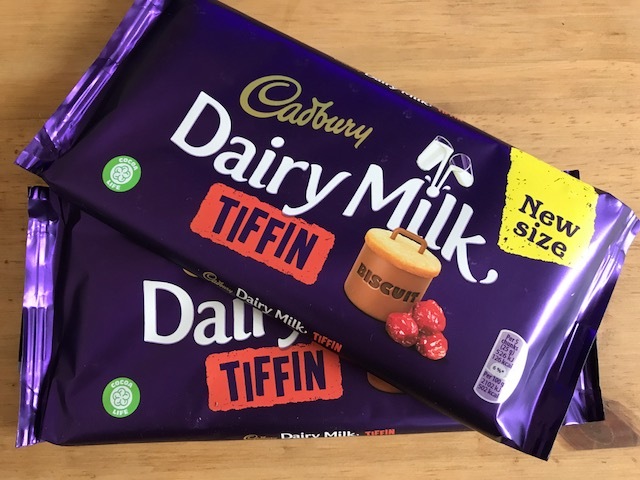 Cadbury Dairy Milk Tiffin is officially back on the shelves in a generously new sized 200g bar (previously 95g). After its debut in the UK over a decade ago, Cadbury Dairy Milk Tiffin has now been brought back to the market following increasing consumer demand for the revival of this old school classic, this delicious bar combines the tastes and textures of crunchy biscuit and dried grapes all smothered in Cadbury Dairy Milk perfect for the whole family to enjoy. Cadbury Dairy Milk Tiffin is available in 200g bars, for a RRP of £2.49 at all major supermarkets.